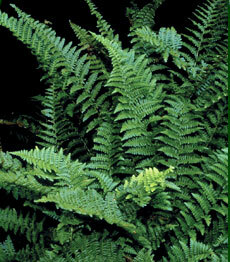 Very distinctive Fern for the shade garden. Rigid 4" wide fronds with toothed margins. Photo Courtesy of Casa Flora, Inc.